A small ornament showing a seated Anubis, the ancient Egyptian god of the dead. 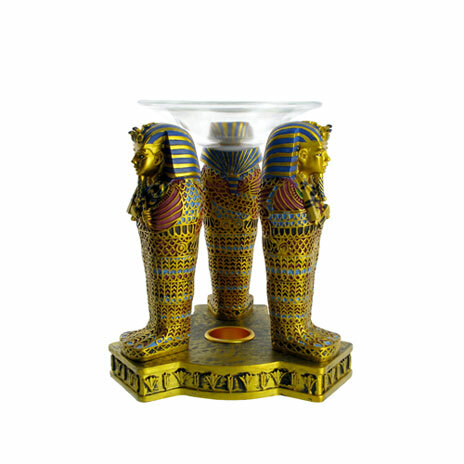 Here Anubis is shown on a golden plinth (colomn) that is adorned with hieroglyphs. 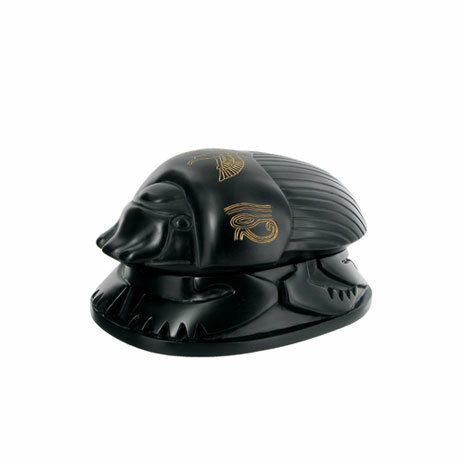 The ornament is based on a statue found at the tomb of Tutankhamun, who was an Egyptian pharaoh of the 18th dynasty. Anubis is one of the most iconic gods of ancient Egypt. He was the guardian and protector of the dead. 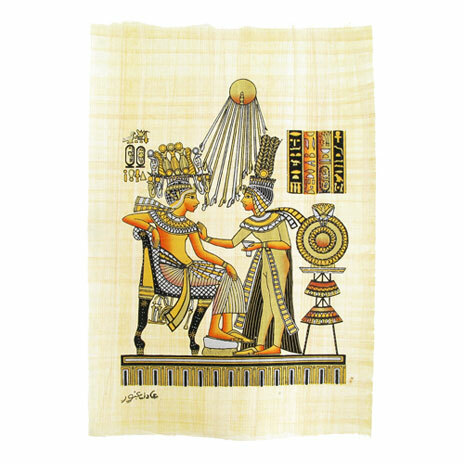 The ancient Egyptians believed that the preservation of the body and the use of sweet-smelling herbs and plants would help the deceased because Anubis would sniff the mummy and only let the pure move on to paradise. Anubis was usually depicted as a jackal (a long-legged wild dog). He is also sometimes depicted as a man with the head of a jackal and alert ears, often wearing a red ribbon and holding a whip. 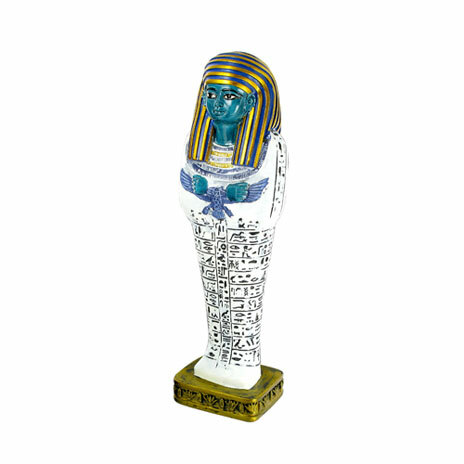 The ornament measures approximately 8cm tall by 11cm wide and comes in a gift box.